Current Location: Best Western Motel in Chester, CA. Exciting news! 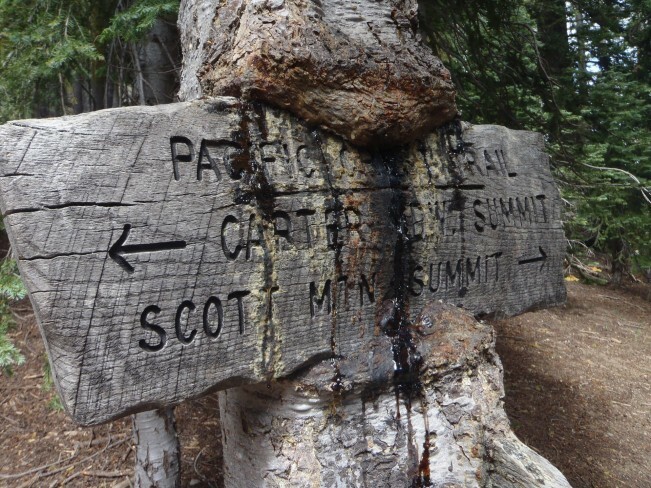 : We have reached halfway on the PCT! Video Update No 12 – We are halfway ! 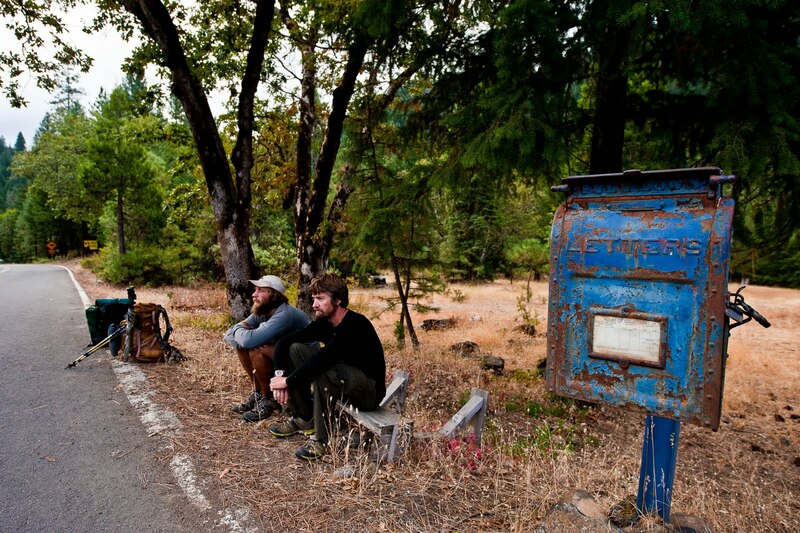 More great news in that another magazine back in the UK has agreed to run an article on my PCT adventure. Adventure Travel, a great publication covering all sorts of worldwide escapades will be featuring my PCT trek sometime in the Spring or Summer next year. Thanks to Rosie Fuller and all concerned for their help. After hearing of my sun glass woes and tales of damaged, lost and broken models, a company called Numa Sport Optics contacted me and offered me a pair of theirs. Apparently these are virtually unbreakable and I look forward to giving them a thorough work over. Thanks therefore to Niels Overgaard Blok at the distributore Back Packing Light Denmark and his team for their kind offer. Fozzie hiking in a kilt? Surely not?! It’s true. After my walking buddy Brains extolled the virtues and benfits of walking in this piece of kit, a company called Sport Kilt are supplying me with a fetching little number. Apparently it has a very cooling effect on ones under carriage. Thanks Seamus at Sportkilt.com! I was happy, I knew that . While experiencing happiness, we have difficulty in being conscious of it. Only when the happiness is past and we look back on it do we suddenly realize, sometimes with astonishment, how happy we had been. But on this Cretan coast I was experiencing happiness and knew I was happy. Great news! Trail magazine, the biggest walking magazine back in the UK will be running an article on my PCT adventure with photos by Pockets. I’m not sure exactly what edition it will appear in, probably in the next two months. However, keep an eye on the blog and as soon as I know . . . so will you. Current Location: The Heitmans, trail angels in Hat Creek. Next stop & update: Probably Castella at mile 1510.00 or about 5th September. Exciting news! : We are over halfway on the PCT! Casualties: 4 pairs sunglasses (up one point). 3 pairs shoes (up one point). 2 pairs socks. 1 beard. 2 water treatment devices. 1 fuel storage can. 1 pair trousers (pants of you’re American). 2 toenails. 1 rattlesnake. The elements are turning. Its getting cold, clouds appear more often and become more threatening each time I look up. We wake up each morning and its a struggle climbing out of our cosy sleeping bags. Tentatively I reach out and pull down the zip, groping around for my clothes, I cringe as I slide into cold trousers and a frigid top. I crawl out of my warm little haven, squint into a rising sun and decide whether to fire up the stove or jump around to get my body to spark into some sort of life. My brain incoherently battles to emerge out of idle mode and implement some sort of battle plan for the day. Come the evening we are stopping a little earlier because of the shortening days and to make the best of the diminishing sunlight. Fire is the first priority, food and erecting tents taking a back seat over warming tired and aching bodies. A cup of hot chocolate brings a smile to my face and the pain begins to melt a little, I know food will only be a short wait, the portions seemingly increasing as the temperatures have been dropping. We sit by the orange glow of the fire and warm our fronts as our backs chill. Twigs crack and snap in the forest around us amidst tales of bears and Sasquatch. They say the Pacific Crest Trail really starts to take its physical toll after halfway. They’re right. Pockets and I are tired, the aches take longer to fade and new ones commence. It hurts just a little more each day, the ibuprofen supply seems to run out just a bit earlier each week. However, none of it matters. The PCT continues to amaze, surprise and welcome us. New views greet us each day, different panoramas and vistas bringing smiles to our faces. The relentless California stretch that we have been eating away at for the past 138 days is coming to an end. Oregon is in sight, maybe about five days away and we will be under 1000 miles in about three days. These are both huge confidence boosters. Not that our moral needs lifting but small targets and goals make a lot of difference. My mileage has gone up from around 15 per day at the start to around 25 now. A recent stretch saw me complete 150 miles in 5 days and I have topped out with a 33 in one day. I need to, a finish of late October means walking twice as far each day as I did during the first half. I continue to walk with Pockets, a fine companion. Brains left us a few days ago but we spoke on the phone recently and we expect to catch him at Seiad Valley because he had to rest for a couple of days due to illness. Pockets is the crazy wild card. A veteran of the Appalachian Trail in 2006, he continues to make me smile with his larking around and mischievous antics. A true outdoors man, he is at one with his surroundings and regales me with his previous adventures in walking, climbing and mountaineering. He stops often to pull out his Nikon when he sees something worthy of his photographic eye. 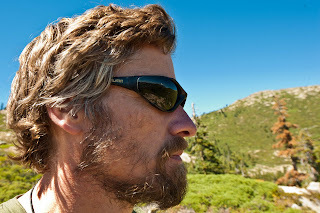 He is one of perhaps a handful of people that I can see myself walking all the way to the end of the PCT with. 1000 miles is still a long way but I know it is the start of a home stretch. Mexico, all those weeks behind me, seems an age ago. Time has little meaning out here, we get up when it feels right and stop when we are tired. One day melts into another, we have no clue as to even what day it is but a small part of me knows that I am within striking distance of Canada. The elements may be getting restless, winter maybe drawing its sword and we are at the tail end of the pack but we walk with smiles on our faces and success in our hearts. Current Statistics – As of 9th September. Next stop & update: Ashland, approx. 15th September. Exciting news! : It’s my birthday! If you’re considering getting a new pair of shades, forget Oakley, Bloc and all the others. Treat yourself to a pair of these puppies. Light, amazing lenses, super tough and flexible and for once glasses come with a decent case! Many thanks to Jake Bennett for equiping me with first class product and to Niels Overgaard Blok at Backpacking Light Denmark for arranging to get them to me. How the hell did I just manage to hike 38.6 miles in one day? It wasn’t intentional. I needed to crush miles (as it is referred to out here) in order to get to Ashland. I had left Pockets in Etna, he had serious toothache and was going to go to Portland to get it seen to, we arranged to meet up in Ashland. Not just that, a couple of deer hunters had told me the weather was closing in and rain was expected. I have a tent of course but then I saw that Grouse Gap had a shelter where I could stay dry at least without the inevitable dampness that goes hand in hand with camping in the rain. I felt good from the set off, even a couple of 1500 feet ascents didn’t deter the leg muscles. I hit 25 miles at about 5.30pm which is a good days walk at present and considered stopping but my legs were convincing me that they had a lot more gas left, so I carried on. Dark clouds were billowing up over me threatening to unleash at any moment. Just hold of for a few more hours I thought to myself. A sign by the trailside made me stop and I smiled cheekily at it. ‘Welcome to Oregon’ it said. At last! Out of California. Progress out here is measured by little things like this. A south bounder approached and on my second look I suddenly realised I recognised him. “Wrightwood,” I said, finishing the sentence for him as he struggled to recall the name of the town. “I know. How come you’re southbounding?” I enquired. “I flip flopped up to Canada from Hat Creek in case the snow came early,” he explained. Flip flopping is the term used when a hiker travels to another section of the PCT by car, bus, or whatever and walks another section. It’s usually done to beat weather. 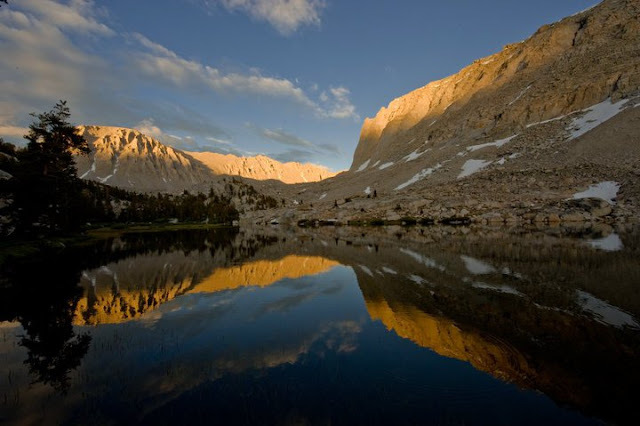 For example, a few hikers missed out the Sierra Nevada mountains because of late snow, travelled north to walk at lower elevations and then flipped back to the mountains to complete that section when the snow had receded. It was strange seeing him after all this time, we chatted and swapped stories for a few minutes and parted company wishing each other good luck. The trail was quiet. I am at the back of the pack now, most hikers are ahead of me, some have even finished. I don’t mind. The only thing concerning Pockets and I now is getting to Canada before the snow hits. I reached 30 miles and felt good, really good. On a normal day my legs would be aching a little but they would be aware that I would be stopping soon. The light faded quickly and before long I was in darkness, a waning half moon trying its best to illuminate my surroundings. My head torch picked out the path in front of me as I concentrated on foot placement. Every couple of minutes I would either hit my trekking pole on a rock or shout Yo bear! to let any of the resident Black Bears know I was about, they usually run off if they hear someone. A loud crashing of undergrowth to my left startled me and the beam of my light picked out a large adult bear thundering up the hill away from me, my heart skipped a few beats. At 9.30pm I reached an intersection of fire tracks. A sign read ‘Grouse Gap Shelter – 1/4 mile’ and I swung right. My feet crunched on the gravel as the way sloped down, I could pick out a few dim lights below me. The shelter manager came out of his caravan as he saw me approaching. Sam welcomed me, we chatted for a few minutes commenting on the mildness of the night. Before long my stove was rattling as water came to a boil providing me with a sorely needed cup of tea and some rice. I ate eagerly, my body almost demanding calories and I wrote my diary for the day. 38.6 miles after a quick mental calculation had me smiling at what I was was now capable of and I recalled the first few weeks on trail putting in daily totals of 15 miles. I nearly contemplated walking another 12 miles and pulling in a 50 mile day, the only reason I didn’t was because the elevation dipped a few thousand feet and I knew that poison oak would be lying in wait by the trail side, undetectable in the darkness. So, I lay out my sleeping bag and listened to a few drops of water drip off the tin roof. I was fast asleep in minutes dreaming of the Canadian border. Cold, tired and hungry. It happens! Next stop and update: Crater lake at mile 1833.6 (May not be in a position to update here though). Exciting news: I am finally in Oregon! On the home stretch. The new and imporved foot shot!